Another week, another book review. 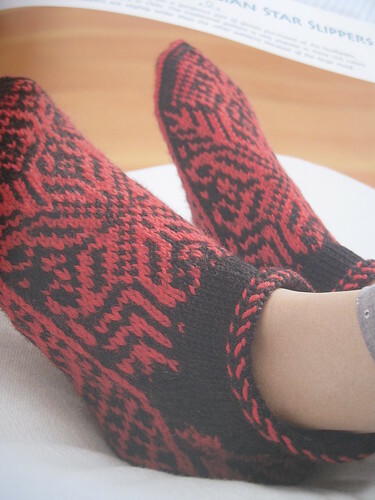 This time, it's Knitting Scandinavian Slippers and Socks by Laura Farson. 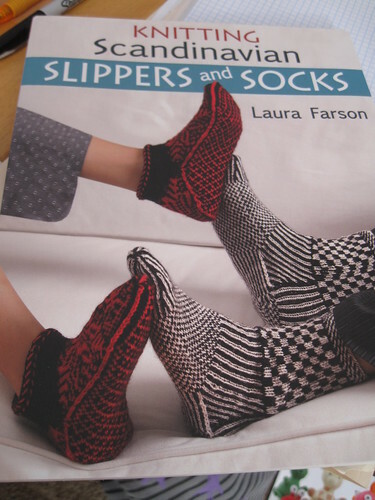 This book contains 19 patterns - 12 slipper patterns, and 7 sock patterns. Every pattern in this book is beautiful. 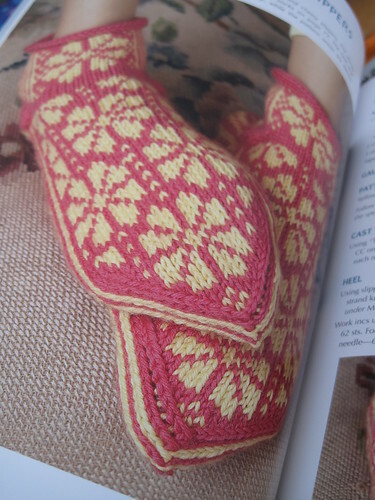 I think I could easily knit my way through this entire book and not get bored of it. I rarely can say that about a book! The patterns are rated intermediate and experienced. But don't let that scare you. 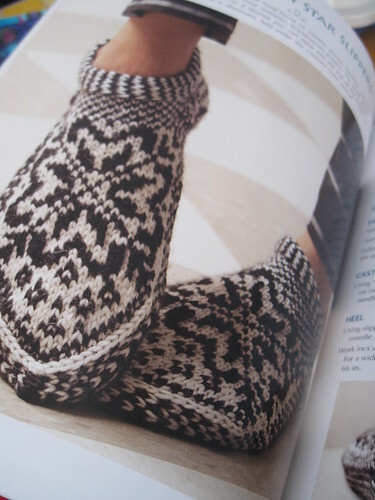 If you knit some socks or slippers before and you love Fair Isle, you need to check this book out for sure. If you have knitting you want to do for the holidays, this would also be a great book to get. The book is published by Martingale & Company and retails for $24.99. Want my review copy? Please a comment on this blog post between now and Thursday, 8/2. I will be drawing a random winner from the comments. Make sure you leave a Ravelry ID or something so I can find you should you win. Note: I received this book as a review copy. For more info, check out my disclosure policy, located in the sidebar.